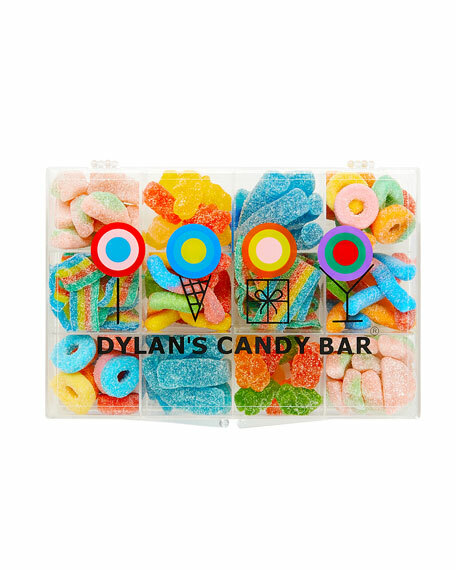 This exclusive Dylan's Candy Bar tackle box is stuffed full of delicious sweet and sour treats! Featuring a delicious and colorful blend of flavorful favorites. This makes a great treat any day of the week! 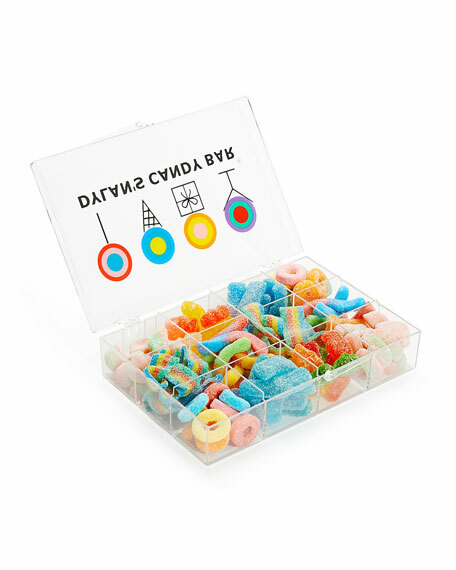 Tackle box includes: Sour Rainbow Belt Bites, Sour Patch Watermelons, Sour Gummy Bears, Sour Blue Cola Bottles, Sour Worms and Sour Looms. 7.5"W x 5? "D x 1.5"T.
Allergen Information: Contains dairy and wheat. Manufactured in a facility that processes milk and soy. For in-store inquiries, use sku #2448383.